The political coalition ReFund California held a meeting on campus last Monday, Feb. 27, to discuss the Millionaires Tax of 2012. The proposed tax initiative seeks to raise $6 to $9.5 billion per year by increasing the tax rates of the state’s wealthiest individuals; those with annual incomes over $1 million would have their taxes increased by three percent while those making over $2 million would be subject to a five percent tax increase. The tax initiative, whose full name is the “Millionaires Tax to Restore Funding for Education and Essential Services Act of 2012,” would not raise taxes on any resident who makes less than $1 million a year. “The California millionaires that would be affected by this tax can afford to invest more in their state that has provided such remarkable opportunity for them,” states the tax initiative’s website. The meeting had a modest turnout, with an audience of approximately 40 people including graduate students, labor union leaders, a faculty member, Riverside Community College students, Occupy members and UC Riverside students.Renowned organizer and Refund California director Jono Shaffer began the meeting by criticizing the country’s skewed distribution of wealth and elaborating on the state’s dire need for fiscal reform. “This system isn’t working…because too much wealth is being concentrated in the hands of too few,” said Shaffer during his presentation. According to Shaffer, the Millionaires Tax of 2012 would be an important step toward rectifying these disproportionate numbers. The current income tax rate for individuals charges 10.3 percent for incomes over $1 million and 9.3 percent for the bracket below. “I support the Millionaires Tax Act of 2012, both because it will help restore the federal government’s fiscal capacity but also because it points a finger at one of the largest problems confronting the nation—that is, the huge growth in the share of income controlled by the super-wealthy,” stated UC Riverside Economics Professor Gary Dymski in an interview with the Highlander. Dymski, however, warned that the millionaire’s tax “is no substitute for restoring the principle of progressive taxation.” Dymski noted that recent arguments aimed at flattening the tax rates and keeping capital gains tax rates low defy this important principle. “What will help restore the willingness of the public to shift toward [progressive] principles of taxation is…to be sure that public funds are used for the public good, and not to bail out an over speculative, out-of-control banking system,” concluded Dymski. As discussed during the meeting, 60 percent of the new initiative’s revenue would go toward state education. 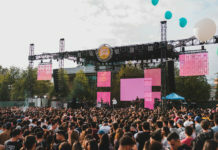 The University of California, California State University and community college systems would receive eight percent each while K-12 education would receive 36 percent. The remaining 40 percent would go towards social services (25 percent), public safety (10 percent) and public infrastructure repairs (5 percent). 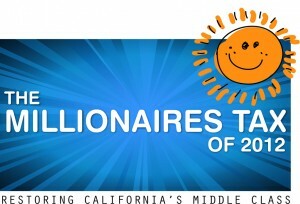 “The Millionaires Tax of 2012 is a great opportunity for California to begin reversing its economic decline. 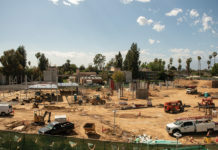 Due to the state’s $10 Billion annual budget deficit, public health, safety, and education have all been adversely affected by aggressive budget cut,” said UC Riverside third-year Brendon J. Butler in an interview with the Highlander. 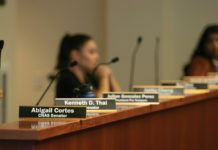 During the ReFund California meeting, one audience member expressed his dismay that any funds gained from the tax would be allocated by the UC Regents. “When the money comes in, how will we make sure that [the regents] will use the money on things that are good for the students?” said the individual. This problem, as noted by the Millionaires Tax of 2012 website, would be addressed by accountability measures such as “financial audits, ongoing Internet reports on fund expenditures, and fines and prison for misuse of funds.” Other tax proposals aimed at millionaires have recently gained momentum including a plan set forth by President Barack Obama. Although the plan is hailed by many as a practical approach, some have pointed out that it may have harmful consequences. “The potential negative effect that this would have would be to discourage work. Thus, the tax base would decrease and a higher tax rate might not increase tax revenue,” stated Todd Sorensen, assistant professor of economics at UC Riverside. The argument follows that if millionaires and major capital owners become subject to a higher tax, then the impact would be felt by the employees in the form of lower wages. “When a single state makes a move like this, there is always the risk that people will move to other states. Studies on this effect have been mixed,” said Sorensen. The impact could also shift to the general public by means of higher prices and potentially fewer jobs if millionaires decide to leave California. Other arguments have denounced the plan as a form of “class warfare” which strays away from the concept of equal treatment. There are similar California tax initiatives but advocates of the Millionaires Tax of 2012 proposal point out that the other initiatives would impose a cost on taxpayers and are only temporary (the millionaires tax has no expiration date). According to a comparison made by the Millionaires Tax website, Governor Brown’s proposal would cost the average Californian taxpayer $123 and would expire in 2016. The Our Children, Our Future initiative would cost the average taxpayer $222 and expires in 2024. Recent polls suggest that a majority of California voters are in favor of the millionaires tax and Governor Brown’s tax proposal, although the former has an advantage. Governor Brown’s administration has attempted to unite voters under his own plan, fearing that the three options might result in the failure of any initiative to gain a majority. “If all three are on the ballot, it’s a circular firing squad, and all of them will lose and the kids lose,” stated one of Brown’s political aids in an article by the Los Angeles Times.